Hands of Hope partners with communities, developing community organizations, churches, and leaders so that children’s educational opportunities are increased, decent housing is developed, and spiritual, physical, and medical needs are addressed. Jesus Christ is at the heart of Hands of Hope’s ministry. This commitment drives the content of our programs, characterizes the kind of people we hire, and guides our ethics. We join with local people to find lasting ways to improve the lives of poor children and families. We believe we must do more than simply meet the physical needs of the poor. Poverty sends a defeating, painful message into the heart of a child: a message that says, "You don't matter." Introducing children to their loving Heavenly Father is the most powerful way of reversing this message. Every child who participates in a Hands of Hope program is given the opportunity to learn about Jesus and discover how to develop a lifelong relationship with God. This good news is modeled and shared in age-appropriate and culturally relevant ways -- never through coercion. The Great Commission is at the core of our mission and discipleship is at the core of our program. God chose the Church as His instrument to bring hope to a hurting world and to deliver justice to the poor and oppressed. That's why Hands of Hope partners with local churches in the Dominican Republic. Only the local church is uniquely qualified to understand the real needs of her community and reach the children in poverty who need her care. The local church creates an environment of unparalleled stability, enabling children the opportunity to experience God's love and acceptance. Hands of Hope ministry focuses on the individual child and his or her development. By working holistically with individual children to address their spiritual, economic, social and physical needs, we present every child with an opportunity to become responsible and fulfilled Christian adults. Although entire communities may feel the positive impact of Hands of Hope’s presence, our goal is to release children one-by-one from poverty in Jesus' name. What happens in the life of a child ripples throughout their environment now and in the future. We believe that changed environments may assist children, but transformed children will inevitably change their environments. ​We will regularly audit our programs to ensure excellent management and properly-dispersed funds. 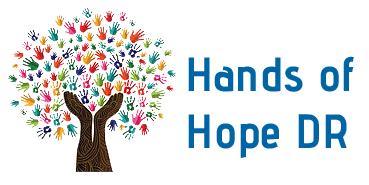 Hands of Hope commits to the highest professional and biblical principles in all aspects of our ministry and maintains the highest industry standards for our allocation of funds. (A) We are committed to Scripture, the Bible, as the unique and inspired word of God ((2 Timothy 3:16). We believe Scripture to be the infallible Word of God, a complete and unified witness to God’s redemption of all things through the Living Word, the Lord Jesus Christ (John 1:1-5, 14; 5:24, 39). (B) We believe the truths summarized in the historic Apostle’s Creed: I believe in God, the Father Almighty, Creator of heaven and earth, and in Jesus Christ, his only Son, our Lord, who was conceived by the Holy Spirit, born of the Virgin Mary, suffered under Pontius Pilate, was crucified, died and was buried; he descended into hell; on the third day he rose again from the dead; he ascended into heaven, and is seated at the right hand of God the Father almighty; from there he will come to judge the living and the dead. I believe in the Holy Spirit, the holy catholic (universal) Church, the communion of saints, the forgiveness of sins, the resurrection of the body, and life everlasting. Amen. (D) We pray with Christians from all ages the prayer Jesus taught His disciples: Our Father, who art in heaven, hallowed be Thy name; Thy kingdom come; Thy will be done; on earth as it is in heaven. Give us this day our daily bread. And forgive us our trespasses, as we forgive those who trespass against us. And lead us not into temptation, but deliver us from evil. For Thine is the kingdom, [and] the power, and the glory, for ever and ever. Amen.